On the 18th of January, James Hogan, the current CEO of Etihad Airways, denied the recent media reports about a possible investment in German flag carrier Lufthansa. He, however, disclosed that the two companies were in talks to increase co-operation, following the code-sharing agreement they announced in December 2016. 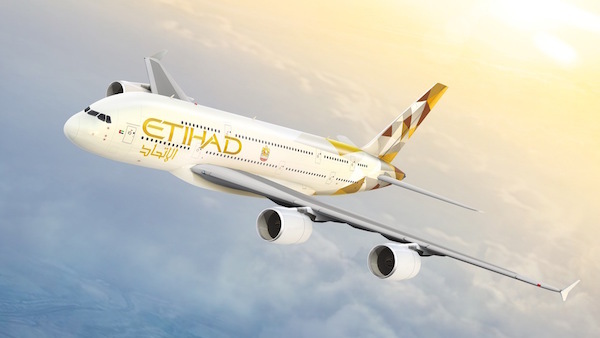 The rumors about Etihad buying a 30-40% stake in Lufthansa have been started on the 17th of January by a report in Italian daily Il Messaggero. The article, which did not cite any sources, mentioned that the acquisition would be a first step towards a full-blown merger. This report, although leading to the steepest jump of Lufthansa shares in the past three months, was instantly deemed “implausible” by many analysts, the main reason for that being European regulation, which mandates carriers to be majority-owned by EU investors in order to gain air traffic rights under international agreements.